Do you like sports? 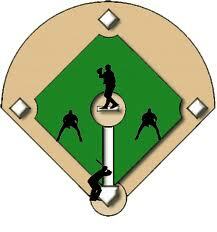 Do you like the sport of baseball? I’m not the world’s biggest sports fan, but there are some sports I find quite intriguing and interesting. Baseball is one of them. I find it interesting that the game is played on a field shaped like a diamond, bases strategically placed on the field with a home plate where the run starts and ends, with two teams, both having key positions and players (that’s you and your support network), a coach standing on the side lines during the game telling the team players what to do next (that’s me), and an umpire calling the game plays. My year-end challenge is called “Covering All Bases” 27 Days Challenge. This challenge will produce fast results in a fun way. During this challenge I will use some baseball strategies, positions, and jargon metaphorically as success strategies to implement winning ways purposefully to end the year as a Champion! The Challenge will start November 24 and end December 20, 2014. Section One – “Covering All Bases” Training Camp – 6 Days of pre-challenge training to get you ready for the main challenge. The training camp is designed to help you to develop strengths and to refresh your vision so you can recognize and use the abilities, gifts and talents that have been entrusted to you Right Now! Section Two – “Covering All Bases” Challenge – 21 Days of personal and professional transformation designed to help you maximize winnings strategies to finish as a Champion! Instructions on gaining access to the Got To Get Myself Together Challenge Facebook Group. Register Now! Use this link http://eepurl.com/9bkRv.